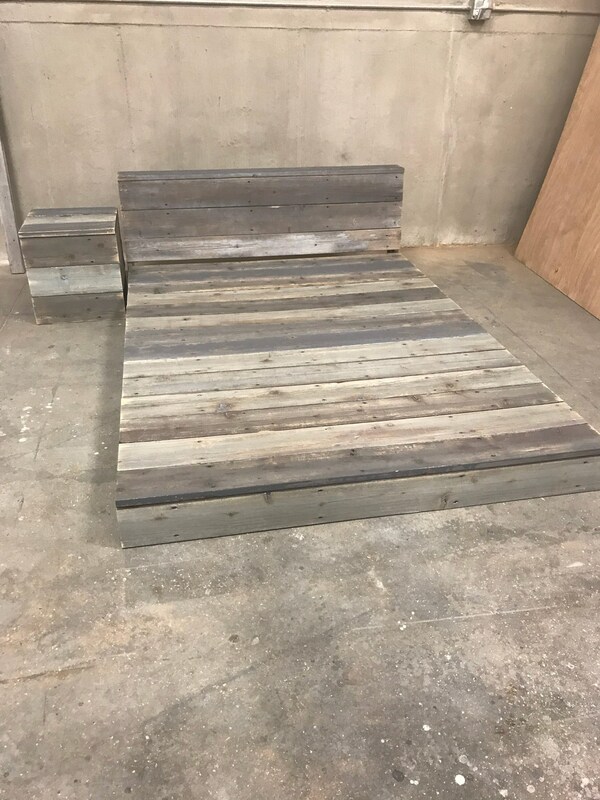 Shown picture made with shades of grey gives this reclaimed plank bed an industrial minimalist rustic modern look. 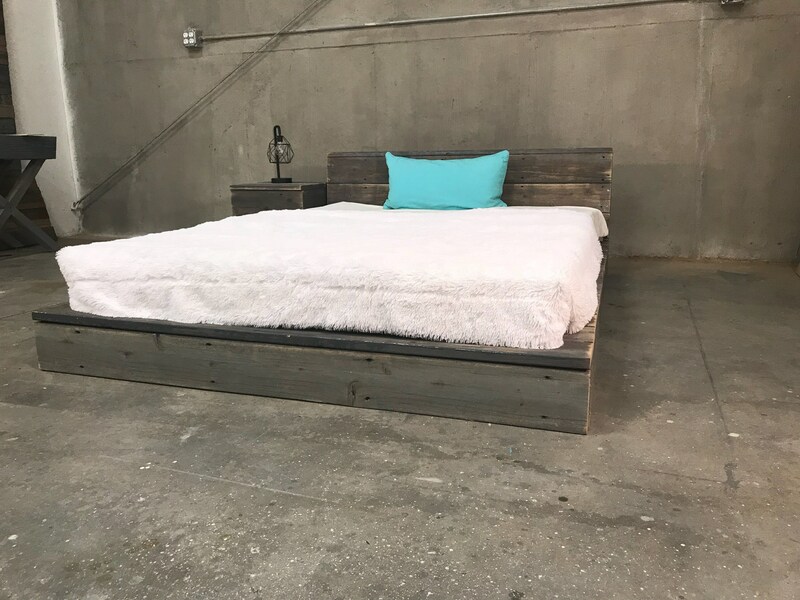 handcrafted and designed using reclaimed cedar planks, the bed will assemble with minimal effort. 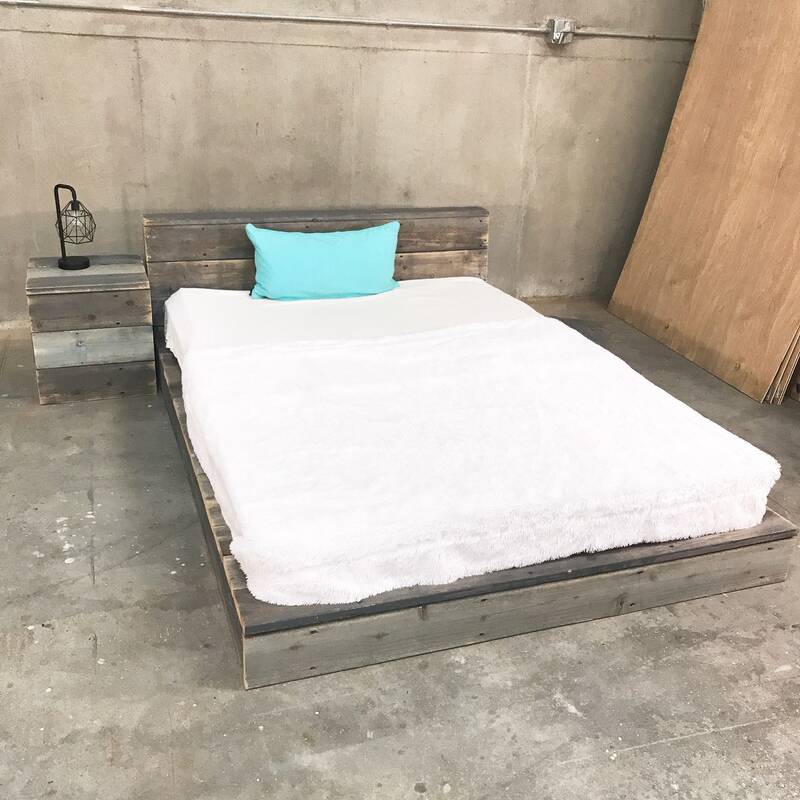 Thelakenest is an Artisan shop. 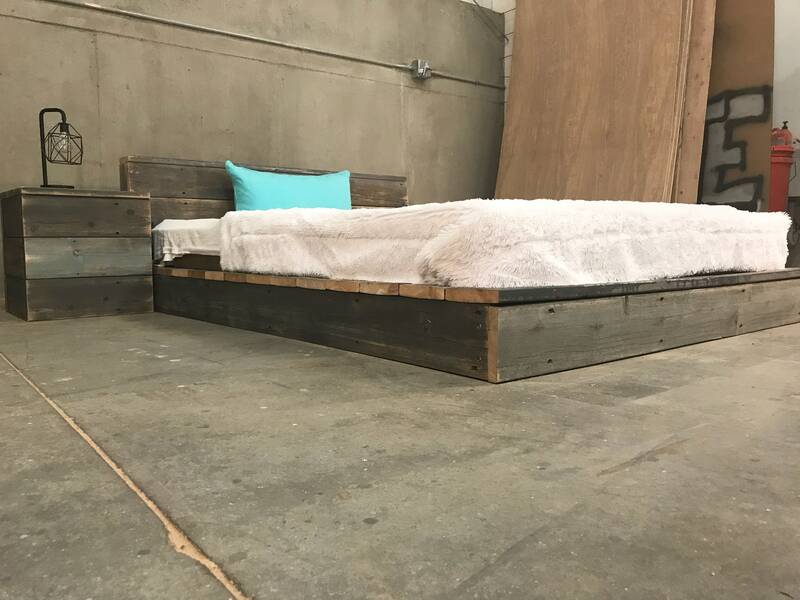 Beds/Tables/Headboards are handmade and artistically finished one at a time without any commercial equipment or finishing booths. 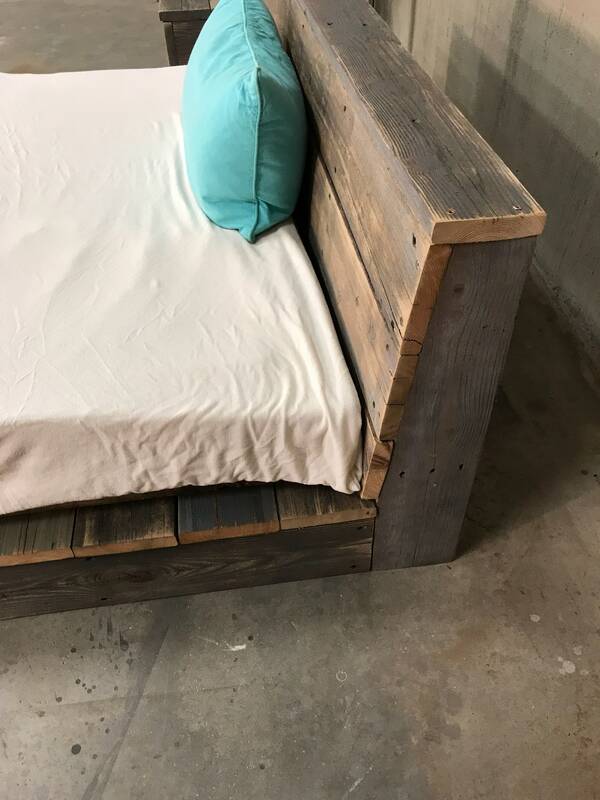 Mother run, made, finished and shipped. Due to unpredictable/uncontrollable volumes of incoming orders we are unable to give a blanketed timeframe. If you are concerned with timing please contact first to see what our current workload is and estimated timeframe. 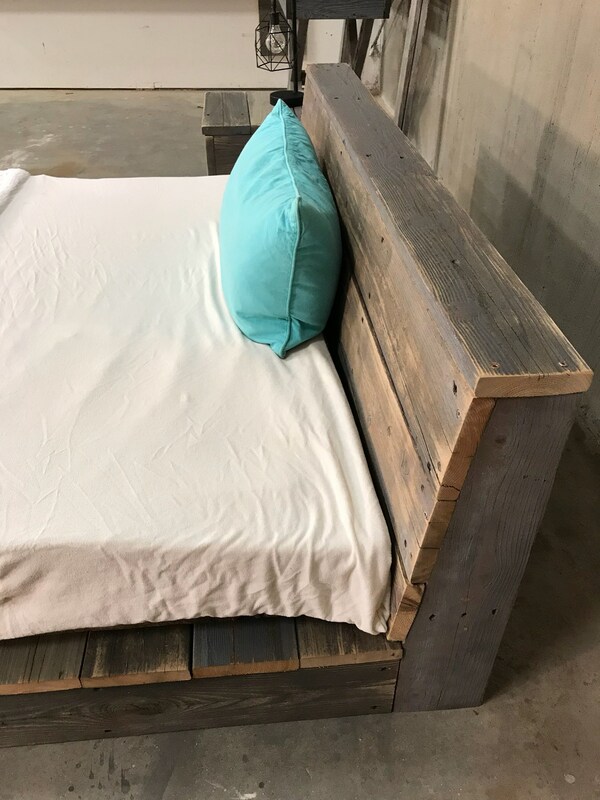 Tricia cottage headboards are made by the oldest son, Tyler. Artistically finished by the daughter, Kahli. 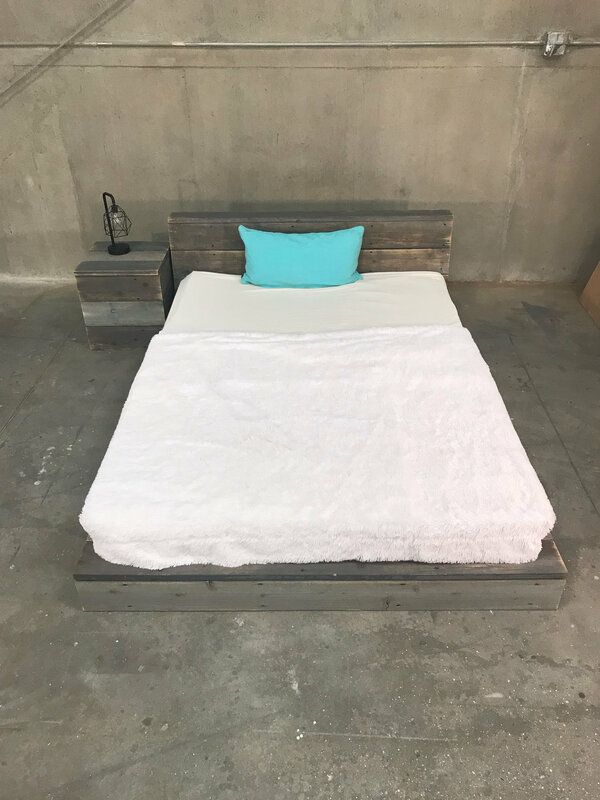 This is the only item we are able to offer at a 2 week timeframe and that from time to time gets prolonged due to high volumes.